Of the many decisions that parents make for the children, a daunting one is deciding on the right preschool for their child. A number of preschools have mushroomed in almost every district of Jeddah, each claiming to be better and different from the rest. Some parents prefer putting their children into a preschool which has at least 10 -15 years of experience with a proven track record. They have seen children of their friends or relatives studying there and are happy with the care, hygiene, safety & academic results. Kids Care and Up and Away are amongst the earliest preschools in Jeddah. Other parents prefer putting their child into a preschool that continues on to Primary and Secondary Levels. Schools such as Jeddah Preparatory and Grammar School (www.jpgs.org) & Jeddah Knowledge (www.jks.edu.sa) fit this requirement with solid reputations throughout all levels of education. Based on the philosophy of Dr. Marie Montessori which encourages independence at an early age, the Montessori method of teaching is very popular in the West. Bellz Montessori in Khaldiya District is one of the first Montessoris in Jeddah (montessori.bellz@gmail.com). Still other parents send prefer putting their toddlers into schools that have a small, homey setup. They prefer the informal and direct access to the class teacher and principal over the more official approach prevalent in bigger establishments. For such parents, Bellz Montessori, Jack and Jill, Little Diamonds, and Building Blocks are a few of the schools they would be comfortable with. These are small establishments with good teacher – student ratios, easy access to the friendly staff etc. Within Jeddah, there are a range of kindergarten schools available from schools that offer the British curriculum (Innovators Private School and Jack N Jill) to schools offering the American system of learning (ABC School). In addition there are some schools that start early (1 year for the KG-1 stage) (kids care and Jack N Jill) and some schools that will start from the age of two or three (Enchanted Garden). The best schools employ teacher’s assistants with no more than 10 students per teacher. Skim through the curriculum. Have a oneon- one chat with teachers to get an idea of what a typical class day is like. Clarify as many doubts you may have about classroom rules, play times, timetables, extra-curricular activities. Are there a satisfactory number of extra-curricular activities available? Playground equipment should be safe and inspire imagination, social development and creativity. Do they serve food in the cafeteria? What type of food is available? Are there any healthy choices? Does the school care about general hygiene? Does the school require your child to be out of diapers or will they assist with potty training? Is the school located near your home or too far away? It is usually more convenient if the school is nearby as it avoids the early morning rush and reduces the morning stress. Does the school have flexible hours – very important if you’re a working mother with long days. Also essential for those occasional times when your driver is needed in two places at once. 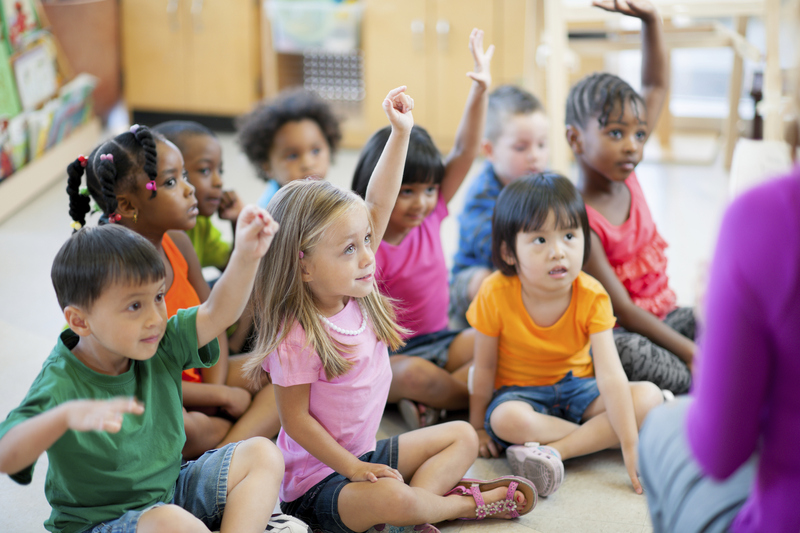 Can you afford the pre-school? Do they charge monthly or by the term? Some schools have a flexible drop-in policy so you’re not locked into a rigid routine. Note: This feature contains updates in the Montessori section. I don’t recommend Jack n Jill nursery at all! !